The Awards Program was established by CAMRT-BC to showcase the talent and professionalism of CAMRT-BC members and students enrolled in accredited medical radiation technology-education programs. 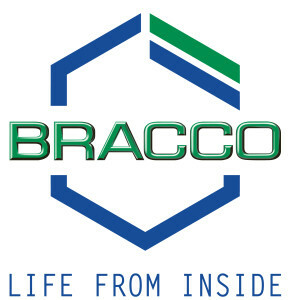 The Paragon Award is presented by BRACCO IMAGING Canada to the individual who receives the highest mark on a CAMRT certification exam in a given year. This award is open to students as well as technologists who may be writing in a second discipline. The following awards are decided by nomination. Nominee must be a current Full Practice, Non Practicing in the Full Practice Qualified, or Senior Member of the CAMRT-BC. Unless otherwise noted, there is no restriction as to the years of membership within the CAMRT-BC of the nominee. The Innovative Leadership award is presented to an MRT who has demonstrated excellence in leadership. The recipient of this award may hold a formal leadership position or may demonstrate leadership within their work/professional environment. This individual has earned the respect of coworkers through their efforts to contribute to the practice of excellence within their department/organization. They exemplify professional leadership by upholding the values of Medical Radiation Technologists. Through their efforts, there is a significant impact on the advancement of excellence in MRT practice. The Young Professional award is presented to an individual who has been practicing for five years or less, and yet has made a significant contribution to the profession at the beginning of their career. This individual acts as a role model of professionalism and volunteerism. This individual demonstrates an early and ongoing interest in the endeavors of Medical Radiation Technologists. The Excellence in Teaching Award is presented to an individual who demonstrates outstanding contributions in enhancing the teaching and learning experience of MRT students during their educational program. The recipient of this award actively engages students within the academic and/or clinical environment. This individual remains up to date with practice standards and ensures students aspire to reach their full potential. The Research Award is presented to an individual who has made significant contributions in the field of research. This individual is active in the creation of knowledge and collaborative scholarly work in the theory and practice of the radiation sciences. This may be through formal submission of research papers, completion of studies which include a research project or thesis based in MRT practice, or by extending the practice of MRT’s through research-based methodology. This nomination must include an abstract of research work done by the nominee. The Award of Excellence is presented to an individual who consistently demonstrates excellence in technical proficiency and innovation. While never compromising patient care, the recipient of this award ensures every procedure is carried out to the highest possible standard. This individual is respected by their coworkers for the care and attention in performing all procedures. Complete the nomination form found online by Monday September 24th, 2018 https://www.camrt.ca/camrt-bc-awards-nomination-form/. Nominations will be reviewed by the nominations committee. All nominations will remain confidential. It is the choice of the nominator whether or not to inform the nominee. At the discretion of the nominations committee, if a suitable candidate is not nominated there will be no award presented. Bobbi Sue was born in Edmonton Alta. Since her father worked in the oil industry she traveled extensively as a child, spending her elementary school years in Algeria, England and Malaysia. She graduated from the Cross Cancer Institute in 1989, and was employed there as a Radiation Therapist and Clinical Educator until 1994. She then made the move to the BC Cancer Agency in Victoria, where she completed her Advanced Certification. She feels fortunate to have also worked at the Cancer Centers in Vancouver, Fraser Valley and Kelowna. In 2012 she settled in Prince George at the newly completed Center for the North. Starting up a new BC Center and managing the daily operations has been the most challenging and rewarding part of her career to date. Bobbi Sue has always been a member and advocate of the professional association. 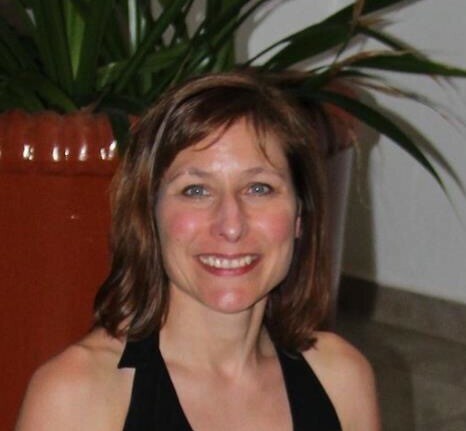 She is proud to be a Radiation Therapist and is a strong believer in lifelong learning and how newly acquired knowledge can benefit MRTs in their professional and personal lives. When the opportunity arose to help organize the recent CAMRT-BC Education evening, she wanted to help in whatever way she could to bring MRTs together to promote teamwork in the understanding of each other’s disciplines. Bobbi Sue has two adult children, living in Kelowna and Calgary. Like her, they love to travel. The next addition to the family will be a Labrador Retriever puppy. That should keep her busy! She enjoys being outdoors – gardening, hiking, skiing and snowshoeing. All great activities for life in the North. The one word Bobbi Sue uses to describe volunteering, which she does within as well as outside of her professional life is REWARDING. Lorraine graduated from the Medical Radiography program at NAIT in 1991. After a year of travel and working as an MRT in Australia, (highly recommended!) she came home to settle down in Prince George in 1993. Since then her career path has seen her work in CT and MRI. She completed her degree in Applied Sciences through Charles Stuart University (Australia) while working full time. When the imaging world became digitized, she moved to a PACS position, and then finally in to her current position as Chief Technologist in 2009. It’s apparent that Lorraine has embraced her profession with enthusiasm, and understands many aspects of working in the MRT world. Of course Lorraine has a full life outside of work – her husband of 21 years, Jay, and two children (Evan, 18 and Justine, 16) keep her on her toes. All are avid sports fans, with competitive volleyball at the top of the list. The art of imaging may continue in the family as her son considers a career in Ultrasonography. Lorraine also loves to run, crochet (amigurami in particular, which is making cute little animals out of crochet – who knew?) and read personal development and science fiction/fantasy novels. Lorraine took a few years “off” to focus on her family, now she is back in full form and expects to stay involved in organizing these local events. If you live in Northern BC, be sure to be in touch with Lorraine if you want to help! 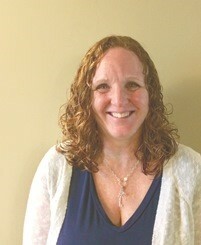 This article introduces you to Sarah Erdelyi, a very active member of the CAMRT-BC. Sarah grew up in the small town of Bolton, Ontario, where she graduated from high school and then immediately attended Queen’s University in the Life Sciences program. Even at this young age she knew she wanted to be in the science disciplines, although it was only after attending a career fair during her second year at university that she learned about the Medical Radiography program and knew this was the program for her. She graduated from the Eastern Ontario School of X-ray Technology in 2007 and stayed at her training site, Kingston General Hospital, for two years. Her first big adventure was to take a ten-day locum in a very remote center – Isle A La Crosse – in northern Saskatchewan. In this small town, the high school and the hospital were in the same building, and all CR images had to be printed and sent to Saskatoon for reading. Sarah was the first MRT to work in this center – previously Combined Lab/Xray Technologists performed the work. She vividly remembers the -30 temperatures during her March stay. And that she really enjoyed the challenge of being totally responsible for all aspects of the work. Her next career move was to Etobicoke General Hospital, where she worked in General Radiography for two years and started her CT career. In 2012/13 she was responsible for setting up a new student program at this site. In addition, she was the Clinical Education Leader for staff. These responsibilities prepared her well for her move to Victoria, BC in the summer of 2013 where she became part of the first cohort of instructors for the new MRAD program at Camosun College. In her roles as instructor, clinical liaison and acting program lead, Sarah has played an instrumental role in the success of this new program. Ever the keener, she completed her Masters in Health Science Education from McMaster University in 2017. Sarah has been a keen member of the CAMRT and her provincial organizations right from the start. The CPD offerings initially caught her eye, and she began taking additional coursework, particularly her CT certification. She was selected to attend the CAMRT Leadership Development Institute in 2014, where she was introduced to CAMRT director Mark Given and met many MRTs who she still stays in touch with. She found this 3 day program very impactful and it reinforced her interest in professional activities. From this experience she knew she wanted to expand her volunteer horizons. In 2016 she began her involvement as a member of the CAMRT Professional Practice Advisory Council. The work with this committee around Best Practice Guidelines (BPGs) fits well with the material she presents to her students. In 2016, she was invited to collaborate on a CAMRT webinar presentation for MRT week about using the BPGs. Most recently, she was selected for the new CAMRT-BC Advisory Council. In fact, in true Sarah style, she had her application ready even before the call for applicants went up! She let her name stand for the position as Chair of the Advisory Council, a position she is now embracing enthusiastically. She enjoys the opportunity to network and be connected to the larger MRT community. 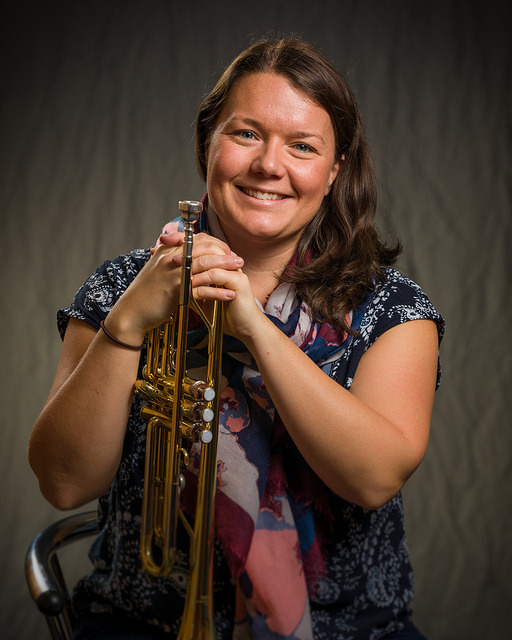 On the more personal side, Sarah has been a trumpet player since Grade 7 and now plays in the Best Coast Big Band. Dragon boating was added to her list of interests while she was wandering the harbor in Victoria on her first weekend in town. She watched part of the Dragon Boat festival, thought it looked like fun, went and met some of the paddlers and found a team, all in one afternoon. She says she feels well settled in her life in Victoria and is looking forward to future projects – whether they be on the work, professional or personal front (or all three for that matter!) She loves her time teaching and working with students and MRTs within the educational environment. Her goal is to be a role model for other MRTs, showing them the opportunities that are available to participate in professional life. She believes there is potential in every member to contribute in some fashion. In her own words, you just need TO GO FOR IT! Meet Louise Rimanic, an amazing Medical Radiation Technologist who is a longtime supporter of her professional association and fellow MRTs. Louise is a humble individual, not likely to sing her own praises, so it’s exciting to be able to share a little about her here. Louise was born and raised in Vancouver, where she graduated from the Nuclear Medicine program in 1981. She started her career as a research assistant but quickly moved to the new BC Children’s Hospital to work as a technologist, then Student Supervisor and eventually Chief Technologist. After 16 years in the clinical world she made the move to education, becoming a faculty member at BCIT where she is now the Program Chair for the Nuclear Medicine Program. Just like her working career, her dedication and involvement with professional activities started early and continues to this day. She was a student representative with the BCAMRT, and then quickly took on positions on the Lower Mainland Board, Commencement Committee and Nominations Committee. Her most significant contributions have been to all things educational – as a member and chair of many educational conferences for the BCAMRT, CAMRT and the Society of Nuclear Medicine. In 2018 she co-chaired the first joint conference between the Canadian Association of Nuclear Medicine and the CAMRT. This conference, held in Vancouver, had many local Nuclear Medicine technologists presenting — Louise’s influence all the way!! And to top it all off, Louise has been the President for the BCAMRT Foundation since 2002. Through her dedication to this professional activity, scores of MRTs have received financial support for ongoing educational activities. On a personal level, Louise is an avid soccer fan, enjoys travelling and has done her share of cycling. After being diagnosed and treated for breast cancer, she joined the ranks of the Ride to Conquer Cancer, and this summer completed her 4th ride. Just like other aspects of her life, when she takes on a cause she stays with it, learning from her experiences and sharing her learnings with others. At the CANM/CAMRT conference this year she spoke from the patient perspective, bringing her diagnostic and personal journey close to home for the audience. You can read more about her involvement with the Ride to Conquer Cancer in this article published by the BCIT Newsletter and from her link on the Ride to Conquer Cancer webpage. Her words of wisdom to fellow MRTs?